Musings of a Durotrigan: Would Honda axe more jobs if the UK left the EU? Would Honda axe more jobs if the UK left the EU? The news of Honda’s decision to axe 800 jobs at its Swindon plant is one of the gloomiest pieces of recent news for the UK economy. However, as it employs a total of 3,500 staff, many will thankfully still have employment after these cuts are made. The employer is hoping to make these staff reductions without compulsory redundancies, with layoffs taking place after a 90-day consultation period. Although the carmaker is acting in response to a drop in demand over the past year, Honda’s market in the UK itself has remained surprisingly buoyant, with the BBC reporting that the 54,208 Hondas registered in the country in 2012 represented a 7.2% increase upon the preceding year. The cuts in staff have rather been in response to a weakening of demand for its products elsewhere in the EU. Demand, unsurprisingly, has fallen off dramatically in those southern European states badly hit by the economic crisis: Greece, Italy and Portugal. It would therefore seem that the UK is more valuable to Honda as a manufacturing base and a market than certain other countries within the EU. The loss of such a large number of jobs is bound to have an impact upon the local economy, but Honda’s commitment to maintain its manufacturing operations that began in the town back in 1992 is beyond doubt. 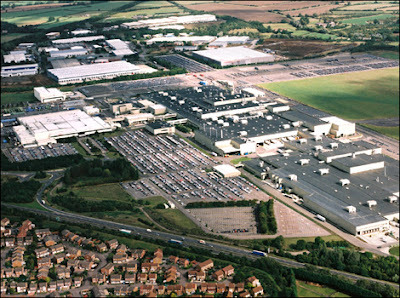 As well as the 2,700 people who will remain employed at Honda, the automotive industry in the town is healthy, for BMW also employs 800 at its Swindon pressing plant which produces 90% of the parts required for the production of the Mini, and BMW’s sales position remains robust despite the subdued economic environment. Whereas there has been much political and media chatter this week about the potentially ‘disastrous’ effects of the UK leaving the EU, Honda’s positive performance within the UK market compared to elsewhere in the EU demonstrates that transnational corporations (TNCs) that make productive rather than predatory capital investments in the UK (i.e. those that create jobs and real wealth in manufacturing) would not in reality wish to pull their investment out of the country were we to reassert our independence from Brussels, for it would be economically damaging for them to do so. Nor, in reality, would other nations in Europe wish to sever mutually beneficial trade: leaving the EU would not mean an end to our economic relations with the constituent nations of the bloc, but it would mean that we regained the right to formulate and implement our own laws and border controls without interference from overseas. A desire to leave the EU is not some expression of ‘Europhobia’, but rather of the wish to revitalise democracy through recognising that sovereignty inheres within the people. However, this is not the narrative that is spun by certain sections of our press and by all but a tiny minority of individuals within our mainstream political parties; neither is it a position acknowledged as legitimate by political and corporate figures overseas who see the EU project as useful to their own ends, and the concept of popular sovereignty as an unwelcome inconvenience. It is influential individuals adhering to the latter perspective both in the US and Germany who have been particularly vocal this week, inveighing against the alleged ‘disastrous’ consequences for the UK should it leave the EU. Opponents of the UK’s independence tirelessly hammer away at the concept of popular sovereignty by knowingly employing the slurs that it is ‘xenophobic’, ‘exclusionary’ and ‘outdated’, but it seems that at least a section of the British public is waking up to the fact that these slurs are baseless. Many have taken recent comments by David Cameron and George Osborne to indicate that a more Eurosceptic mood is now abroad in the Conservative Party, particularly with reference to Osborne’s latest comment that the UK could leave the EU if the latter does not negotiate a fresh settlement amongst its members. However, whereas our mainstream media together with diplomats in the US and EU foreign policy establishments may either perceive or seek to portray such pronouncements as possessing substance, those of us who are wearily seasoned observers of the British political scene will recognise this latest bout of high-profile Tory Euroscepticism as being a sop to a public that has grown increasingly hostile towards the EU and its ever-increasing integration. What truly lies at the root of this recent change in Tory mood music it would seem is electoral fear generated by the rise of UKIP. As previously commented on this blog, outside of EU elections UKIP does not and will not constitute a credible electoral force, for amongst other things it will find it nigh on impossible to win seats under the first-past-the-post system, but it is now strong enough to deprive many Conservative MPs of their majorities by taking the votes from Eurosceptic members of the public and thereby allowing Labour in by the backdoor. When we reach the 2015 General Election, it is therefore likely that the Conservative Party will employ Eurosceptic rhetoric in its campaign, keen to neutralise the threat of UKIP and to distance itself from the Liberal Democrats, but in reality, the party line will be about as ‘Eurosceptic’ as Ken Clarke. Some of us may not be fooled again by such posturing, but will many of our fellow voters fall for this line? Alas, I feel inclined to predict that many will. Welcome back to posting, Durotrigan! Yes, you are correct in asserting that the Tories are becoming very much unnerved by UKIP's present strong showing in the opinion polls and fairly good results in by-elections so they will pose as 'eurosceptics' in order to, once again, con the public into believing they will resist Britain's slide into being a completely powerless province of the EU. However, they have been doing this so long now that at least some members of the electorate are starting to think that the Tories' 'eurosceptism' is not all that it appears to be and our EU partners are getting fed-up with their games. It will soon come to the point where the Tories will have to reveal their true intention of staying-in the EU come what may. Of course, I appreciate that it takes a considerable period of time to create a new and credible party but how is the new party getting-on? There has been no news about it for a while now. Britain can't wait too much longer because UKIP is surging at the moment (although they have had a few problems recently with the gay marriage issue)and it that continues the new party will face a much more difficult task establishing itself in the minds of the electorate. Thank you! I have to dash out now, so will reply properly this evening. Graphene: why has the UK lost its lead?